Hey y'all! I hope your week is off to a great start! This week is an incredibly busy one for me so thank goodness for a slow start to the week yesterday (my kids were out of school) and lots of coffee! During busy weeks, I need clothing items that are easy and functional, while still remaining stylish. 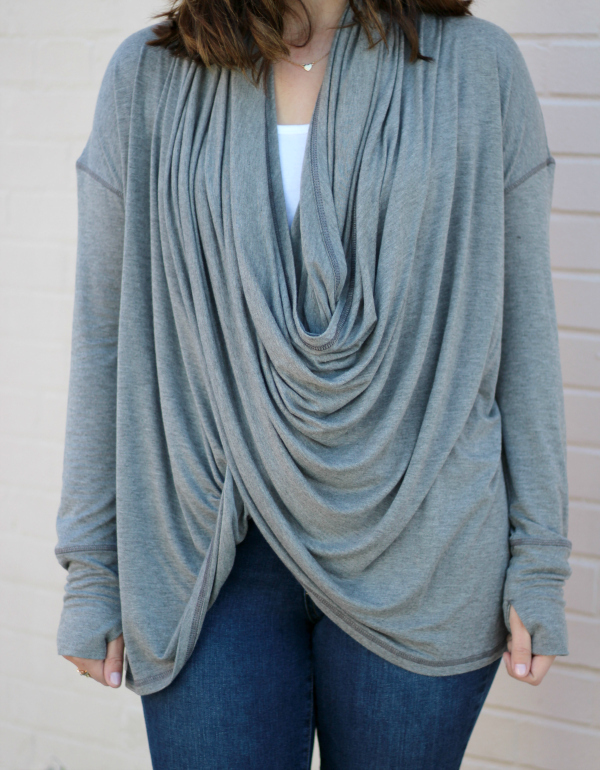 Today, I am styling one of these kind of items and I think every woman, especially moms, need it! 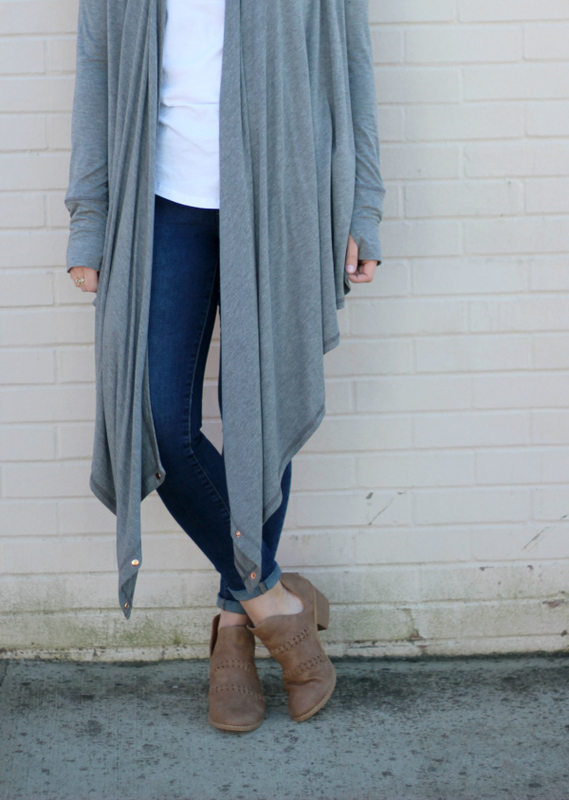 I saw Mallory from Style Your Senses wearing this convertible cardigan last spring and I fell in love with the multiple style options! 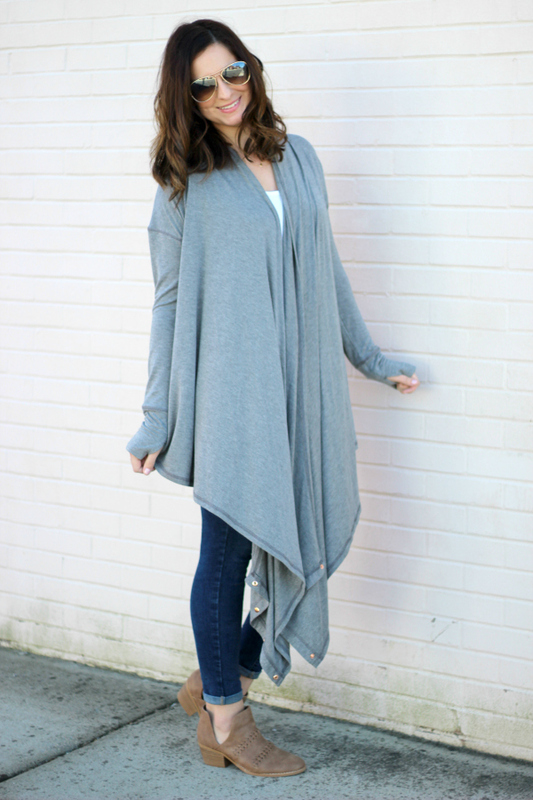 This great convertible cardigan can be worn in a criss crossed wrap style (which would be so perfect for nursing moms) like pictured above or as a long cardigan by simply unsnapping it! 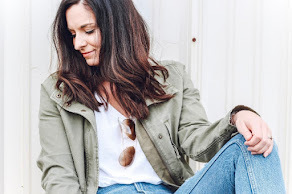 I styled it with my favorite high waisted denim, a simple white tank, and cut out ankle boots for a the perfect, comfortable mom on the go style to create a great mom uniform! 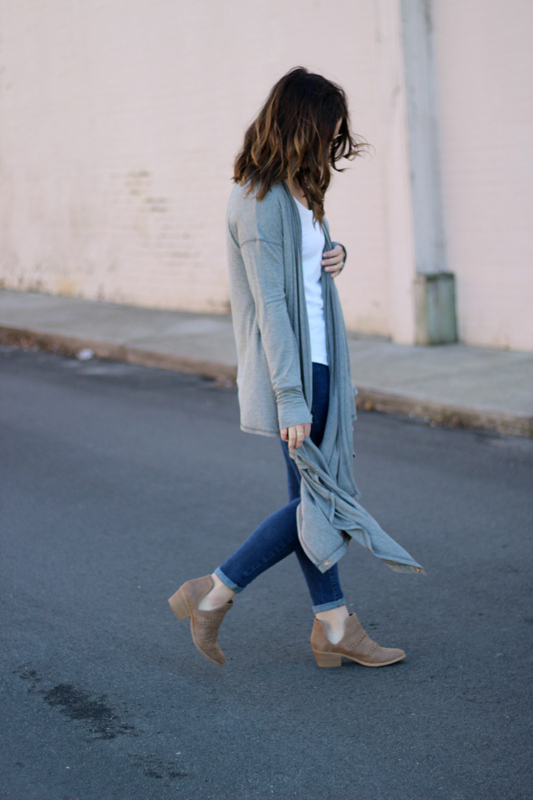 I also plan to style this true to size cardigan with my overalls or with shorts when the weather warms up this spring. It would also be perfect for taking on a trip because you can wear it two different ways on your trip for multiple outfit options. 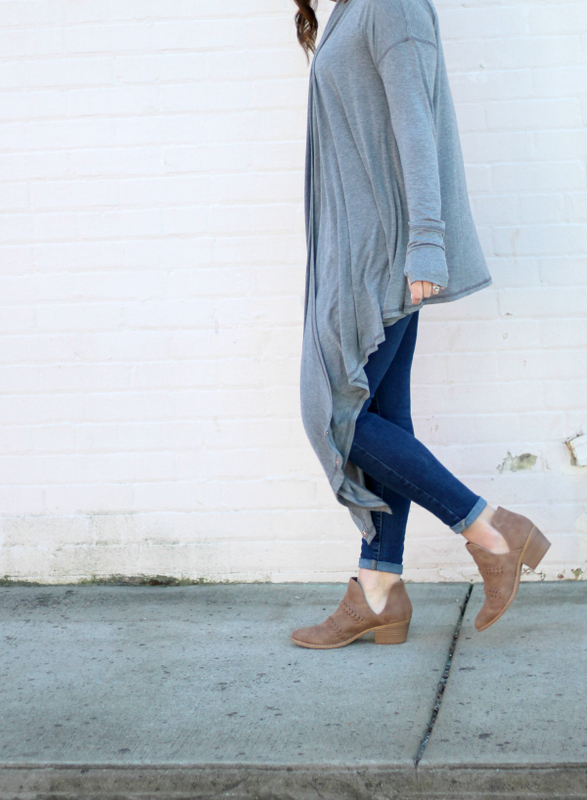 The styling possibilities are endless and I think every woman needs amazing piece in her wardrobe!